I would like more information about 527 Pescado Drive. Gated community, close to downtown St. Augustine. The St. Johns plan features 3 Bedrooms, Bonus room, 12' ceilings with crown in all common areas, Formal Dining, Office, Gourmet Kitchen with Stainless Bosch Appliances includes double ovens. Home is same plan as the model home at Madeira. Some of the structural options include large bay window in Owners Suite and tray ceilings with crown molding. 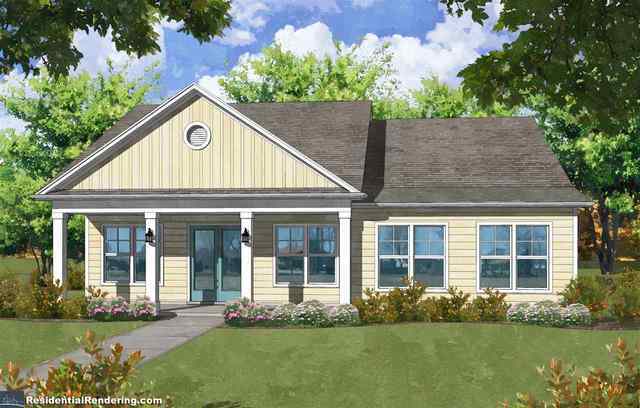 Enjoy evening sunsets on the lanai overlooking the preserve Similar floor plan to the Madeira Model. Addnl Marketing Remarks: Situated along the Intracoastal Waterway, just north of the City Gates, Madeira residents are surrounded by nature and enjoy acres of pristine preserve and dedicated parks. Make new friends at the residence club featuring meeting room, kitchen, fitness center and large sparkling pool. Here you can play Bunco, join the Book Club and enjoy the many resident Socials throughout the year. Riverside Homes, known throughout North East Florida as one of the top builders in the area, offers 12 exciting home plans in Madeira, with the quality to suit the most discriminating buyers. Riverside Homes incomparable quality and service was recognized as an industry leader with receipt of Houzz’s “Best of Customer Service” award, Voted St. Augustine's Best Homebuilder in 2018 and Builder of the 2019 Southern Living Idea House! Riverside Homes priced from the low $300's. Seller Pays $7,000 of allowable closing costs w/Preferred Lender. Secured access entry gate Clubhouse Fitness center Swimming Pool AT&T Cable TV AT&T internet AT&T Home Telephone Gorgeous parks, lakes and natural areas! Low fees to live in such a prime neighborhood, close to Historic Downtown St. Augustine and just 4 miles to the beach! Photo of Similar home - same plan. Directions: US 1 North just south of the County Administration Complex along the East side of the Rd. Visit Riverside Model Home at 78 Pintoresco Dr. for more information.